This cake is so good that none will ever realize that it’s raw. Plus it’s totally glutenfree and low in fat, so feel free to eat the whole cake yourself! For the crust process dates and coconut flour into a crumbly dough. Add it into a pie pan that is layered with a baking sheet and press it down so it sticks together. 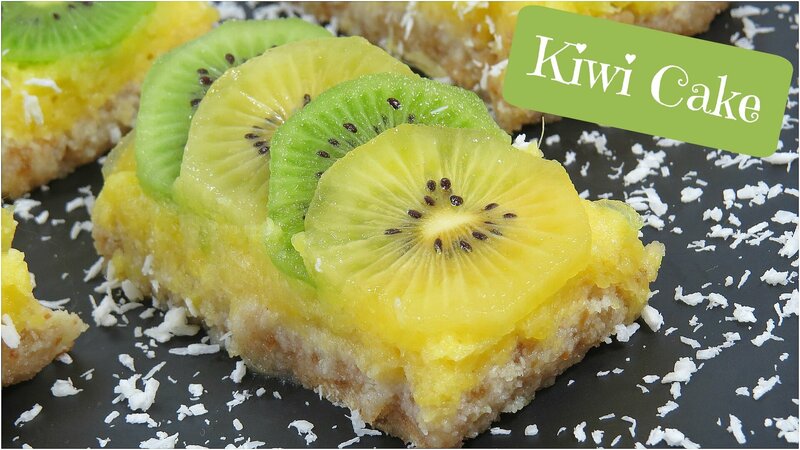 Spread the pineapple sauce onto the crust and top it with the kiwi slices. Slice it up and enjoy with family and friends!